The latest SDHC card by Toshiba offers a world’s first innovation that no other SDHC card can rival — Near Field Communication technology (NFC). 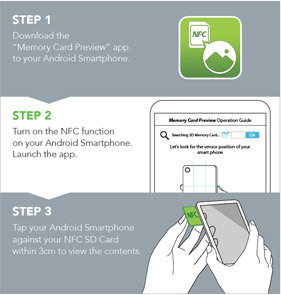 With this leading innovation, you can view the contents on your NFC SD card just by tapping an Android Smartphone against it. 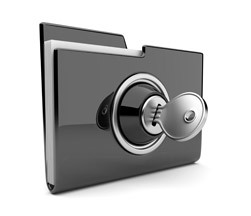 There will no longer be a need to insert your NFC SD card into a camera or card reader. 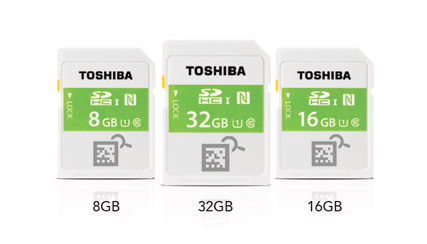 Remove the hassle of plugging your SD cards into your device just to see what they contain and how much spare capacity they have. With the world's first NFC SDHC Card from Toshiba, you can see what's on the card without having to plug it into your camera or card reader. Instead, you preview card content and spare capacity simply by bringing your NFC-enabled Android™ smartphone close to the card. 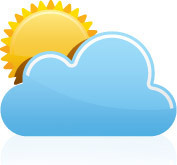 Just install the "Memory Card Preview" app on your device and bring it in contact with the memory card. 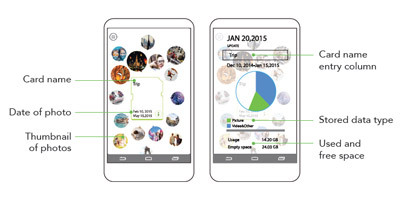 The app will reveal how much free space the card has, as well as 16 thumbnails of photos stored on it. 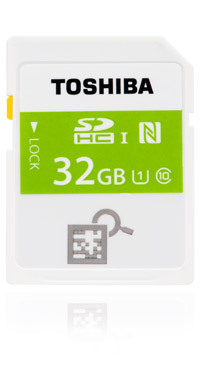 With up to 32GB capacity, the Toshiba NFC card offers enough space to store your high resolution images. With the Toshiba EXCERIA™ Professional SD Cards, you can capture the perfect shot in almost any climate - the cards operate in temperatures ranging from -25°C to +85°C.